GB/T4505, JTG E20-2011/T0606, ASTM D36. 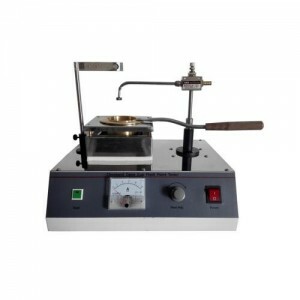 The instruments is used to determine the softening point of bituminous materials. 1. LCD with blue-colored background. 2. The temperature control is automatic. No personal error. 3. Pt100 temperature sensor. The sensitivity is better. 4. PID method controls heating rate. The linearity is good. 5. Vane stirring makes the temperature more uniform. 6. Four samples can be tested at a time. The efficiency is higher. 7. Infrared light detect the softening point temperature. Manual detection can also be selected. Automatically calculate the average value. 8. A built-in printer is equipped with this model for printing.